As the current pharma supply chain is challenged by the lack of visibility and a number of new compliance regulations, most companies seek enhanced traceability. Pharmaceutical companies must adopt tracking technology to ensure product integrity and achieve global compliance. Drug counterfeiting is a well-known and documented problem affecting human lives, but also the pharmaceutical industry reputation and ROIs. Within the United States, the FDA has enforced and implemented the Drug Supply Chain Security Act to protect consumers against counterfeit drugs. Act to protect consumers against falsified medicinal products. The Global Traceability Standard for Healthcare (GTSH) defines international process standard, explains and sets minimum requirements for all stakeholders in the healthcare supply chain. 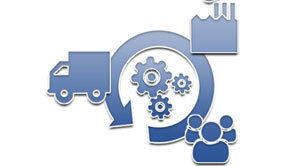 However, full implementation as a cohesive solution of global traceability standards is still in progress. Blockchain can be a comprehensive, all-inclusive solution which saves lives and dollars seamlessly in the future. Critical support for combating counterfeit medicines and vaccines are substantial investments. Indeed, in the folding carton sector, anti-counterfeiting and safety procedures will continue to play a major role. The traceability solutions are one of the four biggest technological developments set to transform the market by 2022, according to the report by the design office of Smithers Pira titled "The Future of Folding Cartons to 2022." Indeed, when a drug package can be identified, the risk of receiving a fake product is reduced drastically. Increasing traceability procedures should help a huge worldwide counterfeiting industry, estimated at more than $200 billion worldwide in 2017 by the World Economic Forum. In the pharmaceutical industry, serialization should help to monitor the supply chain and fight against the spread of fraudulent drugs and vaccines. The process can also bring additional benefits, including a more precise view of inventories with a better history of the origin and quality of the goods purchased. These advantages may also apply to other sectors facing counterfeiting hazards. Serialization is a chance to modernize current traceability systems. 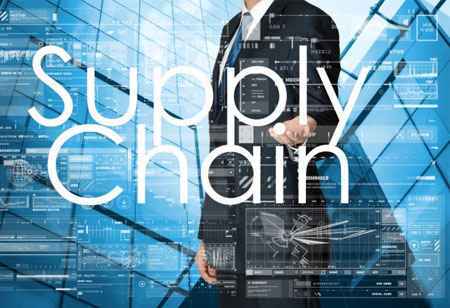 This win-win model would significantly enhance action against parallel markets by controlling the supply chain and applying best practices driven by data. To ensure compliance with customer requirements and eliminate fake products from the global market, the pharmaceutical supply chain should be transformed with the largest track-and-trace network.